I always go on about certain special AUTOarts in my reviews and how they only come about once every few years. 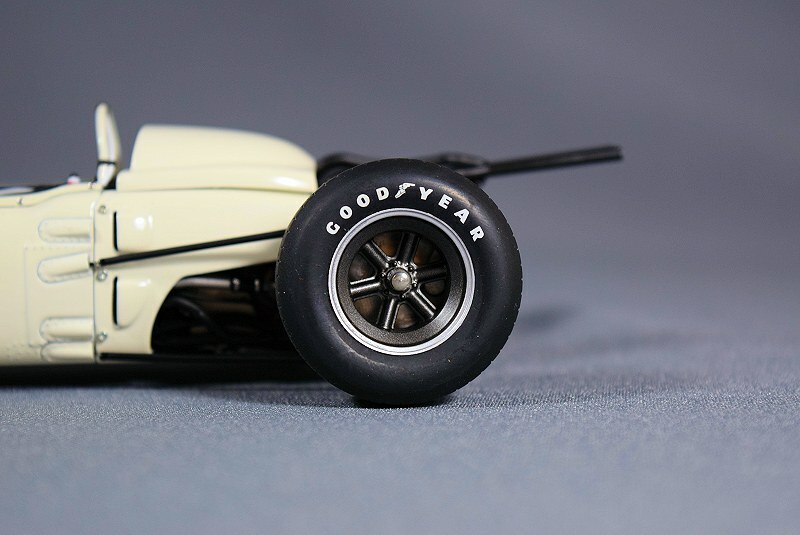 Now that AUTOart is fully switching to plastic models, they may no longer be made ever again, so I’m very pleased to say that this here is the latest one. They chose to bestow the honour on a relatively obscure subject. Indeed, before AUTOart announced it, I doubt I had ever heard of it. 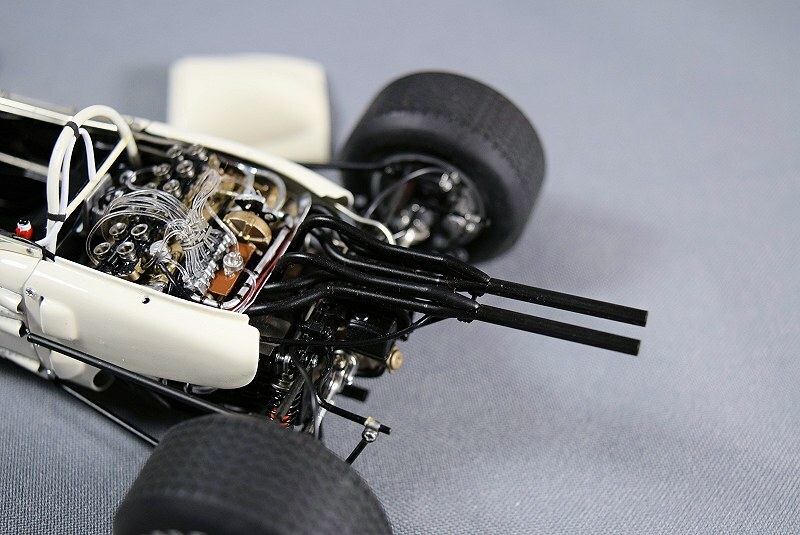 The good (or bad) thing about AUTOart is you have a lot of time to sit and scratch your head, from the time the model is announced to when it is produced. 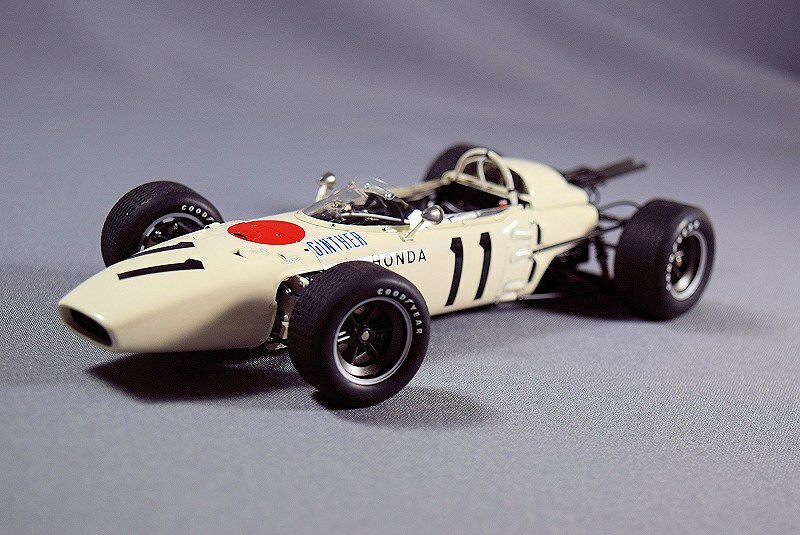 As ever, I’m not going to bore you with history, but the Honda RA272 is a rather special car for Honda, that put them on the map, so to speak, in Formula 1 racing. 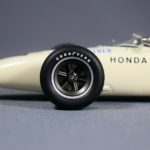 It wasn’t very successful in terms of the big picture, but it proved that Honda did know what they were doing. 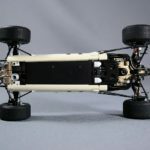 So, having waited about four years since the announcement, was the model worth it? I kind of gave it away already, but let’s go through the motions just because we’re all diecast lovers here. 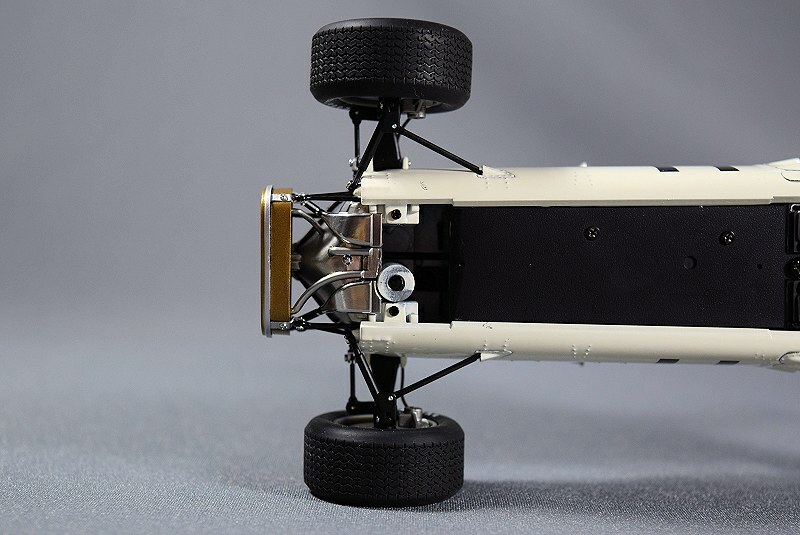 The model is so light, that you at first think that there’s nothing in the box. Once you’re handling the model, it’s actually pretty heavy for its size, and it’s tiny as hell, measuring in at 8.7 inches. That’s with the exhaust sticking out, by the way. Without the exhaust, it’s a real shorty at just under 7.5 inches. 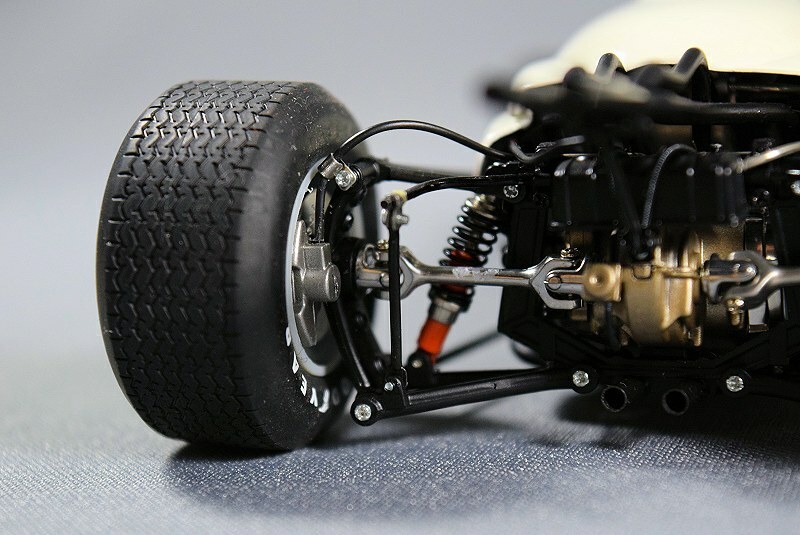 Don’t let the diminutive proportions fool you though – this thing is packed with detail! 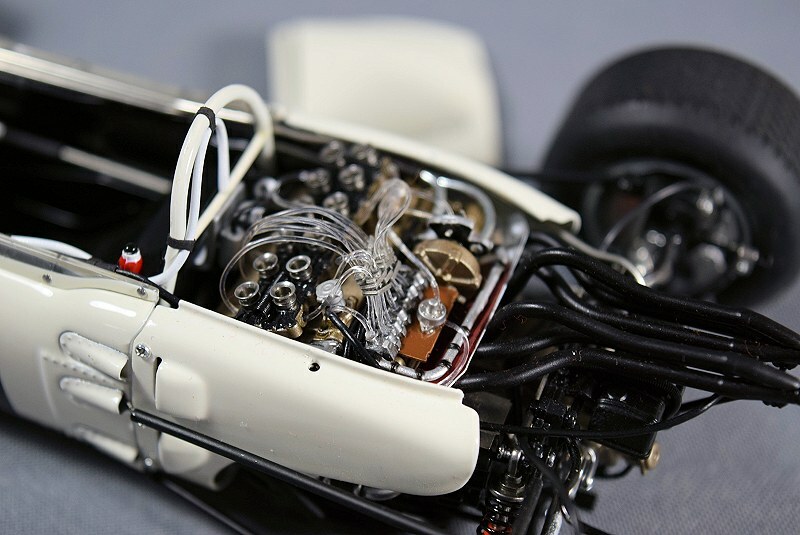 It’s got, make sure you’re sitting down for this, 529 parts! Just to put that into perspective, her highness Pagani Zonda R (also by AUTOart) has 680+ and is twice the size. For me, this is enough to put it into the same category of greats as the Zonda, Nissan R390, and the Jaguar D-type, just to name a few. There is some assembly to be done out of the box. The engine cover, front nose cone, and undertray are supplied in separate bags, all wrapped carefully. After screwing in the undertray with 2 screws (one of which wouldn’t go in all the way, grr), all you have to do is pop on the other two pieces. 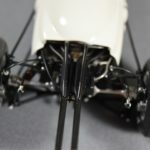 The nose cone can be further secured with 4 screws, but I didn’t want to bother with that every time I wanted to glimpse the detail under there. 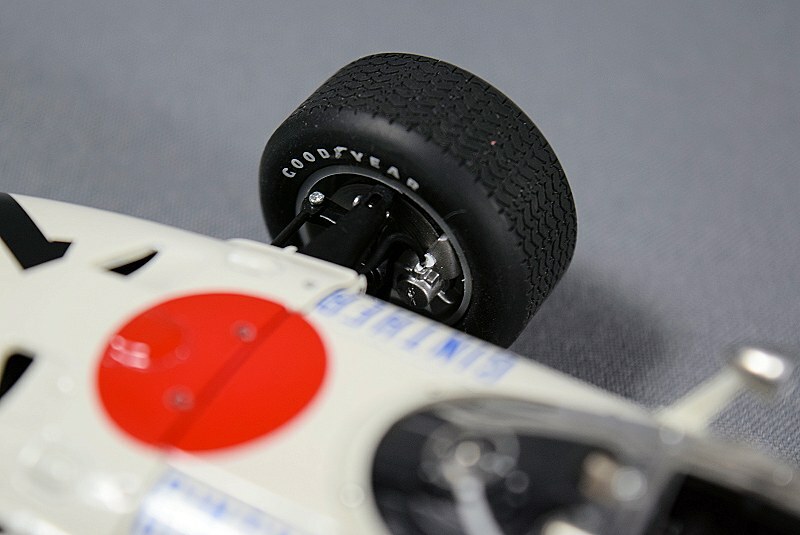 Speaking of the nose cone, make sure you don’t pinch the brake lines when you’re putting it on. The paint is as per usual, no complaints here. There are simulated rivets everywhere, which are nicely done and don’t look over-scale. The ones around the cockpit canopy are actual rivets and look excellent. The rather nice visor on top of the front portion of the canopy is kind of ruined by three giant screws though. But that’s alright, we’re used to those from AUTOart. The fitment of the two panels is excellent, with no glaring gaps. 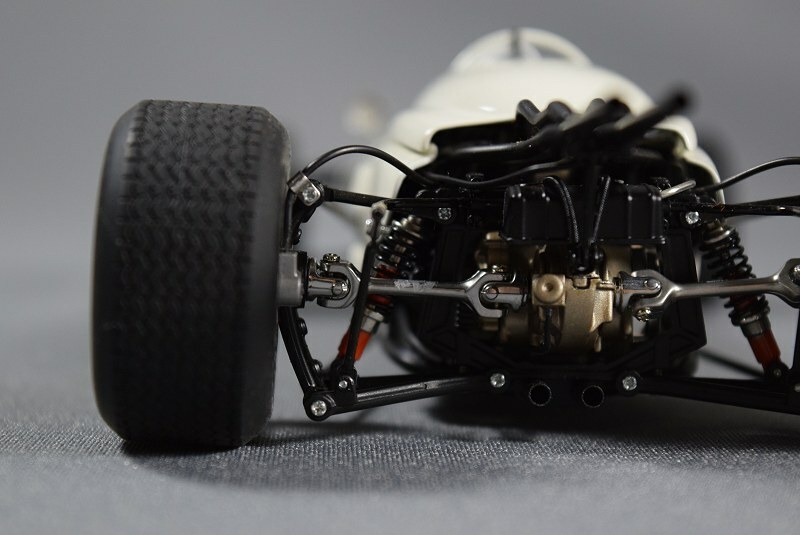 The suspension is fully functional with smooth motion, no creaking here, and I love the stance. The model looks very realistic. The cockpit looks the business. The part of the dash you can see through the glass looks excellent and there are cables and tubes everywhere. 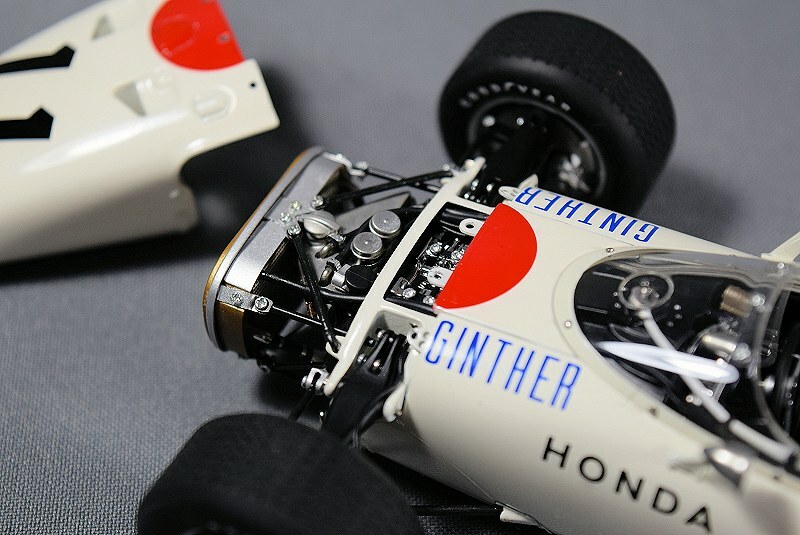 The shifter is also nice somehow. No chubby plastic blob sticking out here. 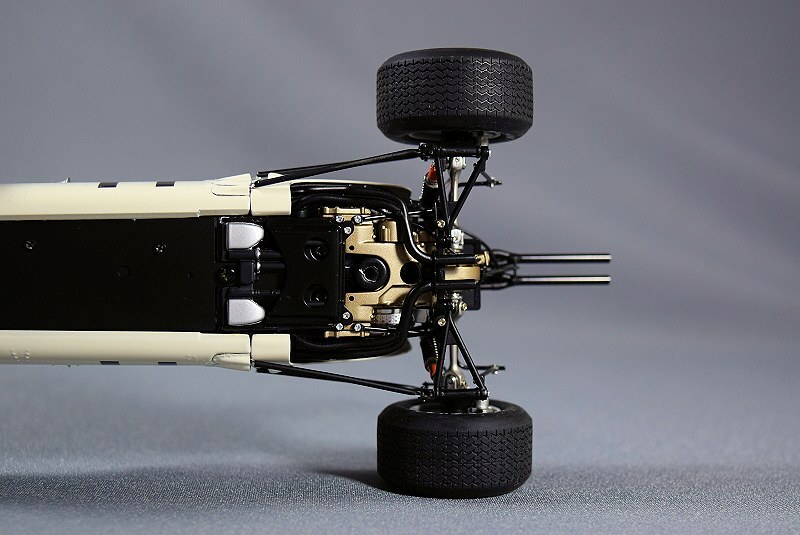 I like that, AUTOart. They also bothered to put the pedals in even though they didn’t have to. Most people will never see them. I’ve been so excited to finally look at that engine in person and oh my god, it does not disappoint. 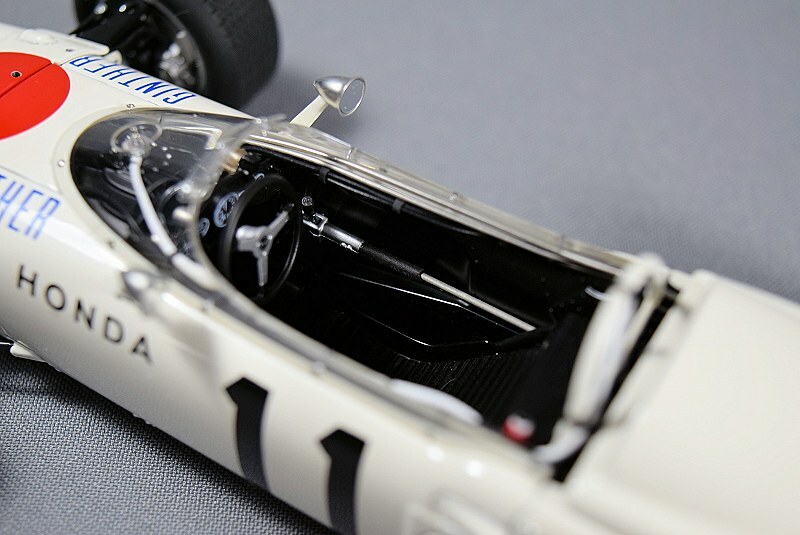 Those fuel lines (or whatever they are) dominate totally, and bring the realism up to 10. This is CMC-grade work here. 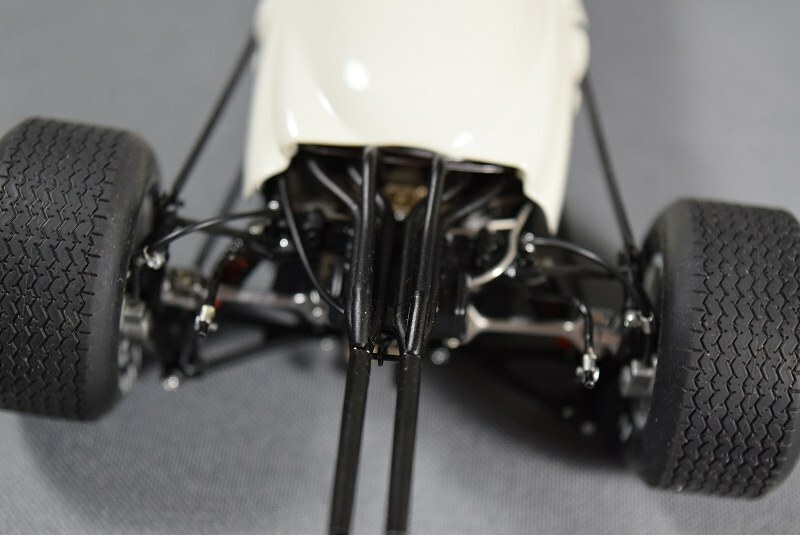 I am immensely impressed and the more I twirl the model around, the more impressed I am with the rear end. 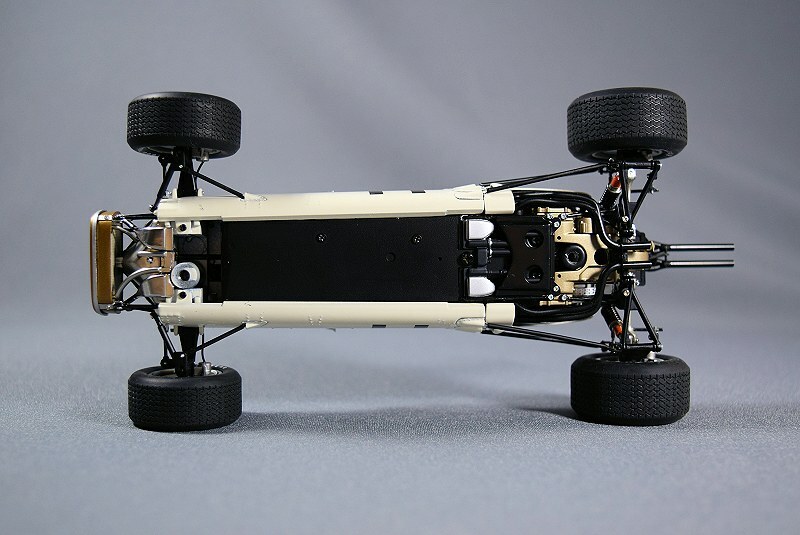 The suspension flexes nicely, the axles rotate with the wheels. 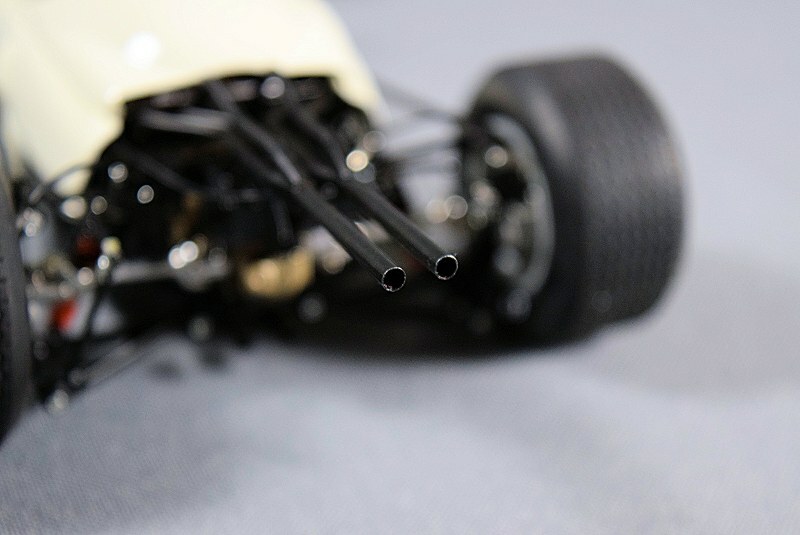 The exhaust is thin and hollow enough. There’s a nice heat shield over the exhaust and tiny springs everywhere, front and back. The wheels look excellent, and the rims and brakes are good enough for me. This model was worth the wait alright. It is very expensive but I think it’s worth it. 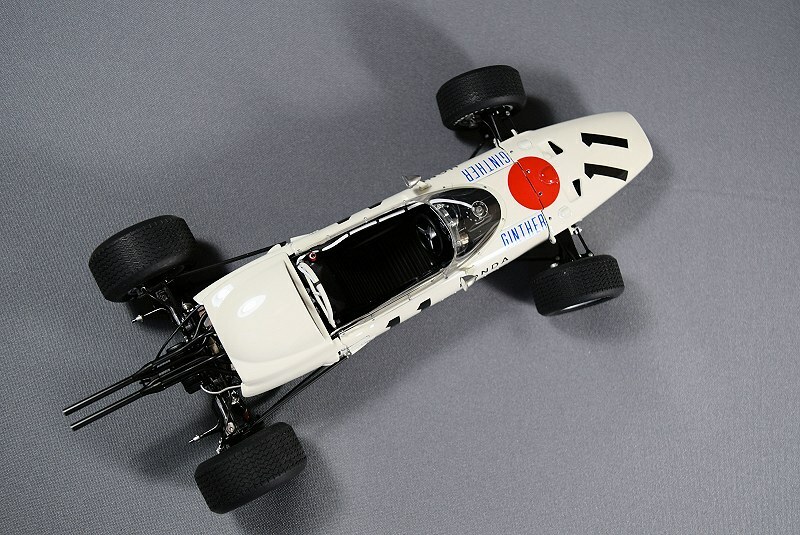 It makes the Exoto F1 models look antiquated, has a nice heft to it and despite being a rather obscure car, looks great. Highly recommend adding one if you’re into this sort of thing. 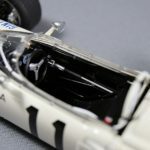 There’s a version coming with the driver figurine and the #12 car is also scheduled to be released at some point. 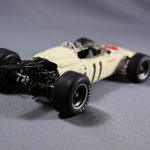 Would pair really well with the Porsche 804, if you have one. 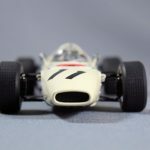 20 Responses to "REVIEW: AUTOart Honda RA272 F1 Grand Prix Mexico"
Wes nice review. 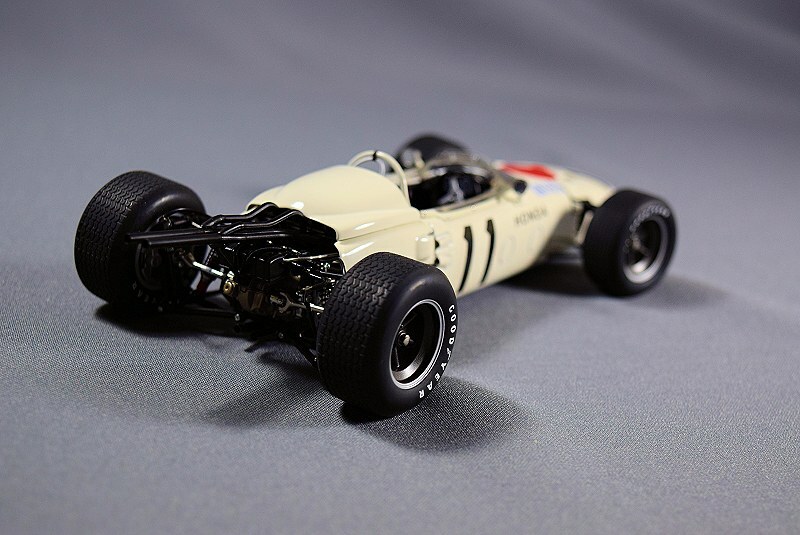 I’m in total agreement, another one of those special gems from AUTOart that are few and far between. 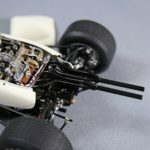 I had the pleasure of seeing this model first hand, it is stunning on so many level. This is what collecting is all about. Thank you, it’s a very nice effort. I’m in love with it. 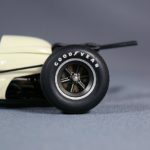 Any idea when the Richie Ginther figure version will be released? Hopefully the figure will be easy to remove. 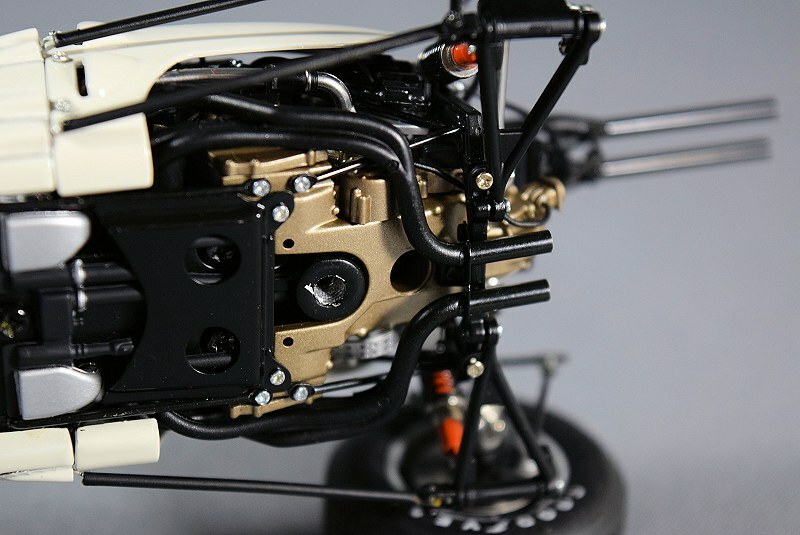 Thanks for the review Wes, I’ve been waiting for this model and sadly it is not available yet in Europe. Ever since my girlfriend walked into my room a couple years ago, saw the F1 cars with figurines and said “awwwww look at the little men!”, I sold them all and from now on only buy them without figurines. 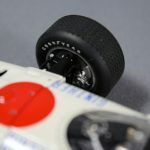 They look silly, obscure detail and add unnecessary cost. Sometimes us collectors lose that outsider perspective and don’t realize how silly some aspects of our hobby are. So I stay well away from figurines, dioramas, etc. LOL thanks for your perspective Wes. 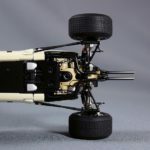 I admit that I prefer F1 models both with and without driver figure. 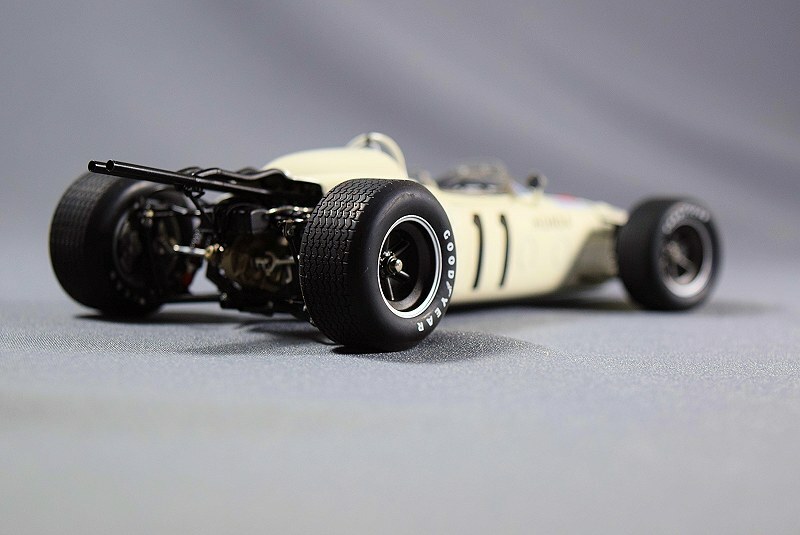 In general they look better without, but if you want to recreate the car+driver (and often we buy a model because we are fans of the driver) then a good figure adds to the scale model aspect. Of course few companies get human figures correct, and as for figures that come with models I’ve only seen Exoto do them well. I had myself the exact same reaction as your girlfriend! I prefer without the figurines. 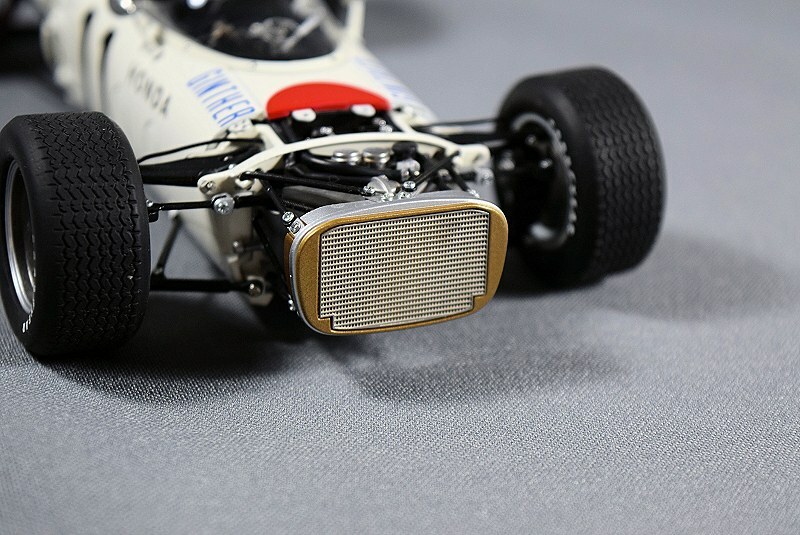 Hence, the focus is on the diecast, its design, its lines, its curves, its livery etc. I have this model, and it really is darn near perfect. 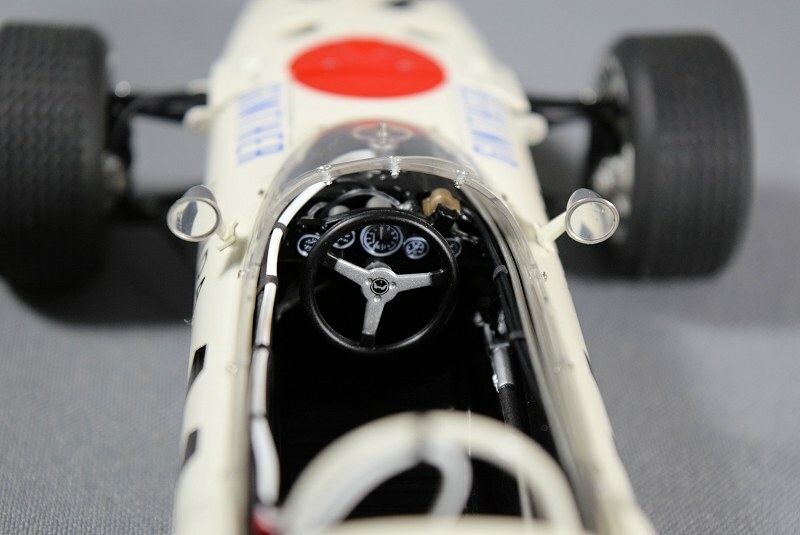 I’ve done my research on the real car, and looked at all the photos out there (Phil Hill drove a remaining car from the Honda museum, featuring it in his book “A Driving Life) and this model is amazing in its detail and execution. A real gem. 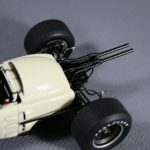 The Porsche 804 is a good model too, but for the glaring error of the inclusion of the long radius bars, which Gurney’s car did not have for the race said to be depicted by that model! But Wes is right on target here. 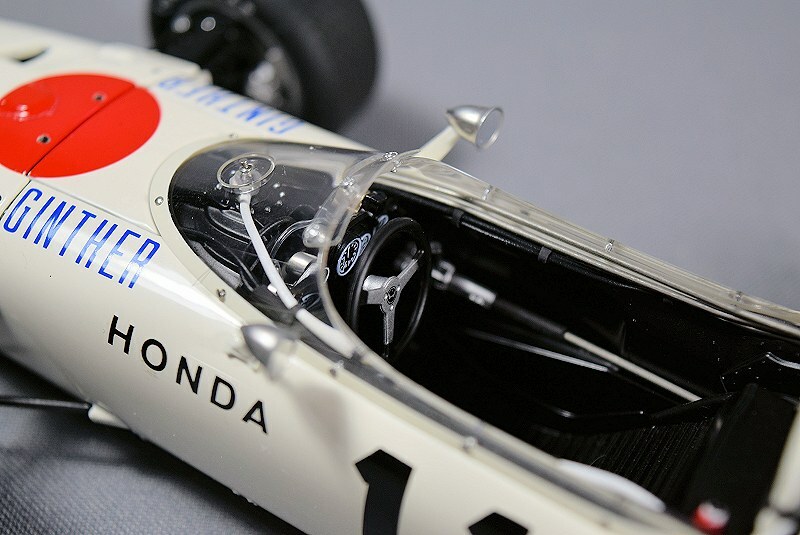 This Honda is a magnificent diecast model! is that composite? 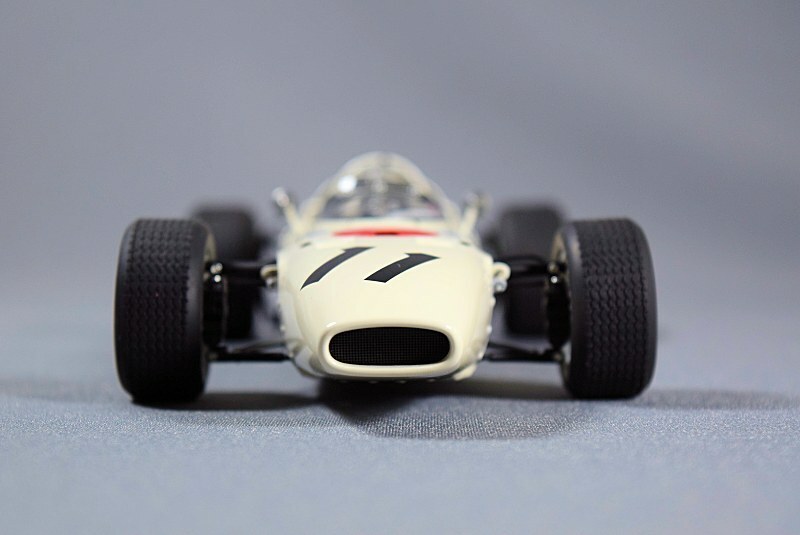 or diecast? Yes I received this model as well. I love it. Amazing detail yes. -giant screws, but that was mentioned in article. 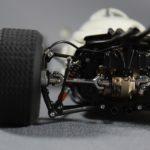 -nose screws are out of scale but the biggie is that while the red screws go in ok, the outer screws on the far left and right side of the nose will not go in all the way because it appears that the mounting holes underneath are too small or there is no thread. I tested the screws just on the mounting holes without the nose attached. No go.. Odd. AA should have painted those screws white and made the heads smaller. 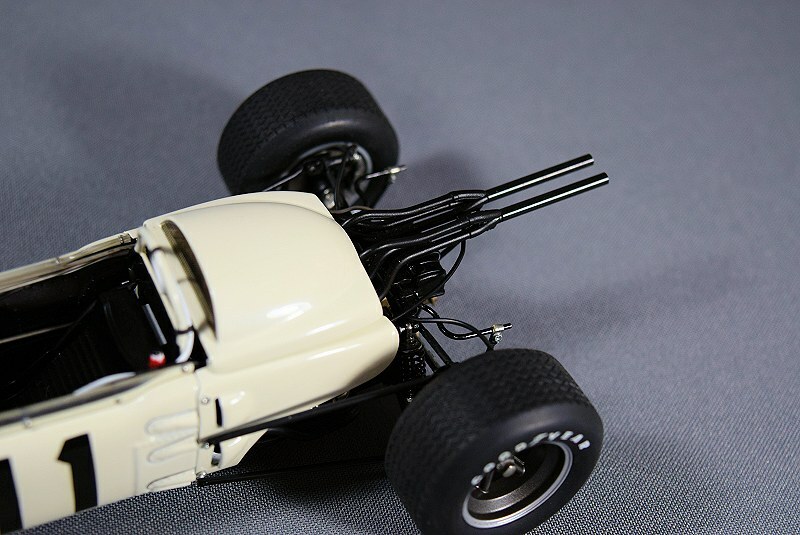 Beyond that and the expensive price, I really like this model! 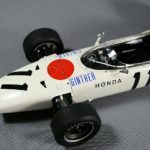 Hi, I have this car in plastic it’s the only one in plastic from the other 6 Honda F1 cars That I have in diecast. 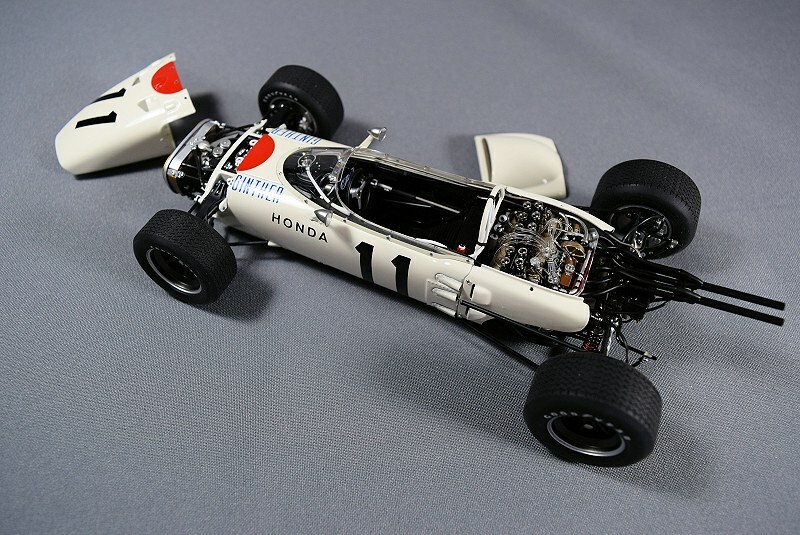 The Honda F1 program was commenced with John Surtees as its race & development driver, but further down the road Honda Honda wanted to enter a car in the 1968 French GP but Surtees refused to drive it telling Honda the car wasn’t ready to race and would kill its driver if raced in its present state of preparation. 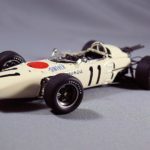 The car was entered in the French GP with Joe Schlesser as its driver but only covered a couple of laps before sliding off the track, bursting into flames and killing its driver. 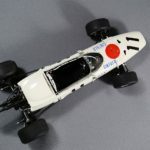 Is this diecast model released yet and if so what is its cost in Australia. 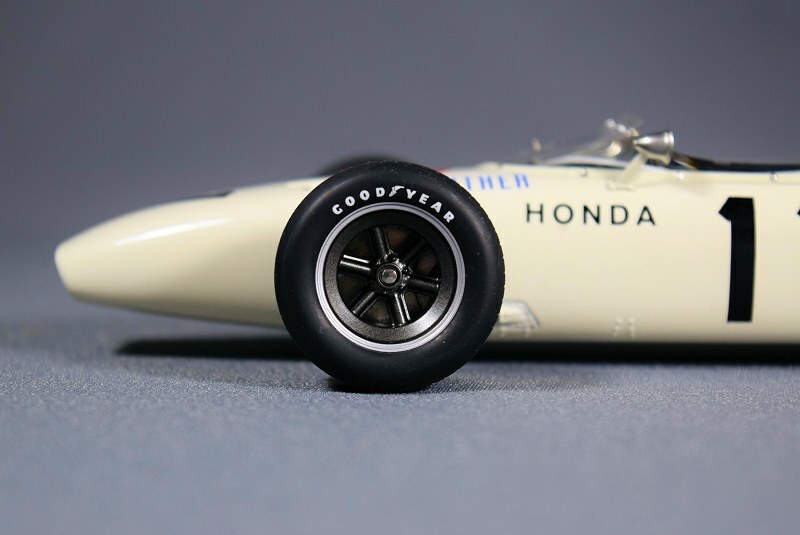 With regard to the other Honda F1 model cars I haven’t come across anyone who has the full range of F1 cars in the the Honda line up and to my knowledge there has been only seven F1 cars built in this era. 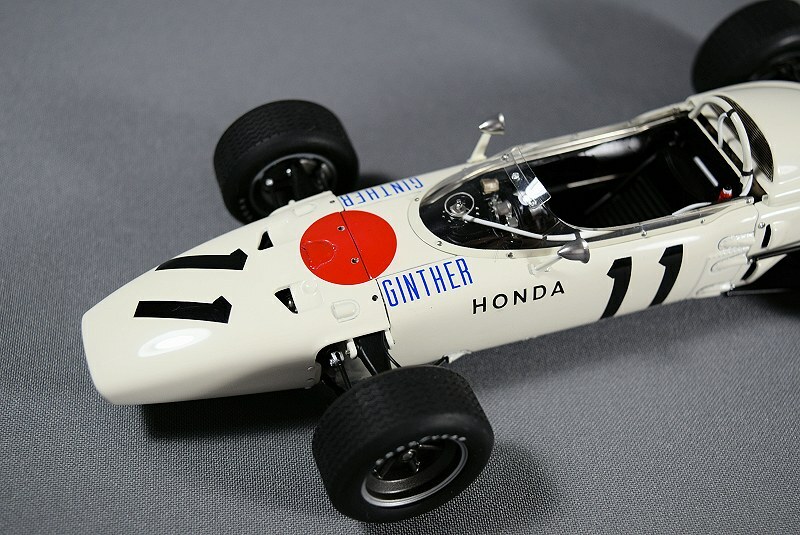 But I would love to own this one to complete my diecast Honda line up. 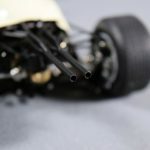 According to Autoartmodels.com, the Pagani Zonda R does not have more than 680 parts; it has 653. So is this model all plastic? Or is this the last die cast model? 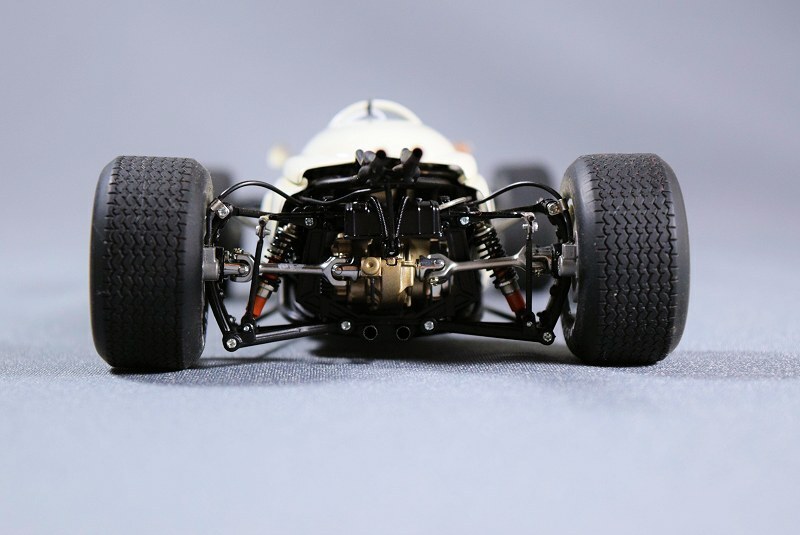 Model is from AUTOart’s ‘Racing’ diecast series. It definitely is not the last diecast model. Finally someone did these justice in 18 scale. Although I haven’t bought an AA in over 15 years, it may be time. 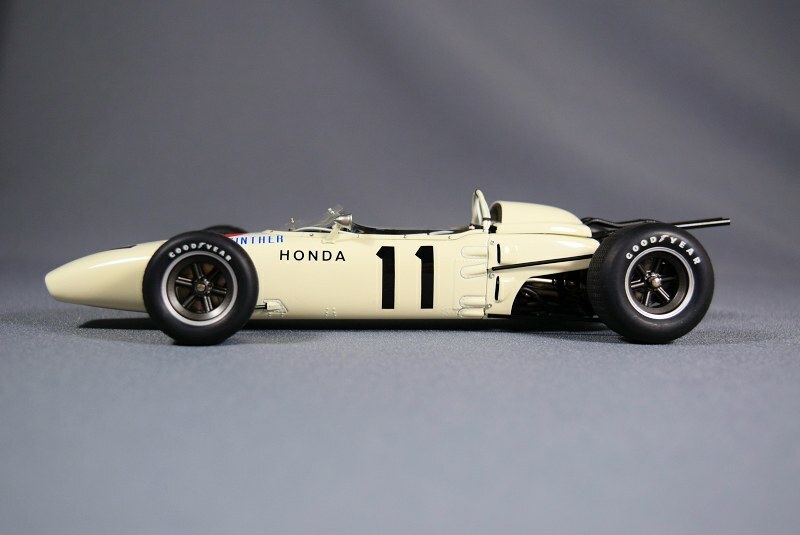 My Honda RA collection of these in Ebbro 1/20 will have some company. 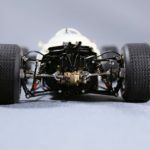 Nice review, but CMC and Exoto should never be compared. 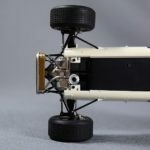 If those companies did this model today, we know it would be superior materials and engineering, and pushing 2000+ parts. Just saying….